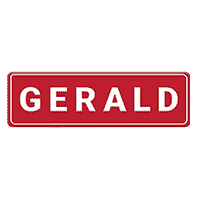 At NO extra charge to you, The Gerald Exclusive Lifetime Warranty is INCLUDED on ALL NEW and select USED vehicles. Gerald CaresFor Over 70 Years! The Gerald Family has been dedicated to helping make a positive change in the lives of others by supporting our local communities and charitable organizations. We believe in the good work of the charities and groups we support and stand behind their efforts to make a difference in our communities. Commitment to Excellence atGerald Collision Center. We know that you have high expectations, and as a collision center we enjoy the challenge of meeting and exceeding those standards each and every time. Get Financing the Gerald Way!Gerald's Financing Can't Be Beat. At Gerald Auto Group, we offer competitive financing rates and terms on our great selection of new and used trucks, cars, and SUVs. Our finance experts are here to guide you through the financing process and help you get into your new vehicle. Welcome to Gerald Auto Group! Gerald Auto Group treats the needs of each individual customer with paramount concern. We know that you have high expectations, and as a car dealer we enjoy the challenge of meeting and exceeding those standards each and every time. Allow us to demonstrate our commitment to excellence! Located in Naperville and North Aurora, IL, we proudly serve the greater Chicago area with our excellent customer service and outstanding knowledge of the vehicles we sell.